The month of August, women’s month is earmarked to cast the spotlight on the dynamism of women. Challenges women face are listed, strategy plans are offered to assist in alleviating the strain, and yet beyond this, the greatest purpose of the women’s month, is to honour our women. Allah has vested greatness in the status and position of women in the family and in society. The Muslim Judicial Council’s Women’s Forum (MJCWF) takes the opportunity to highlight the glad tiding, that Allah is aware of, and records our struggles — to juggle our tasks, being a mu’minah, a caregiver, a caretaker, a professional, and the myriad of other positions we hold. That when we invite Allah into our lives and intimate spaces, we are inviting success into our lives. That whatever Allah has ordained for us, is meant to grow us. Find the “fertile soil” and seek from Allah to guide us to the best of growth, closer to Allah. That in our time of hardship and strain, turn to Allaah to guide us through, to facilitate for us clear guidance, that we recognize and accept and truly place our affairs in Allah’s court. And finally, that we become a true sisterhood, reaching out and connecting our energies, encouraging each other to goodness, holding and supporting each other through times of need and trauma. Ultimately understanding that we are the glue that holds society together. May we honour ourselves and be honoured by those around us, always, Aameen. 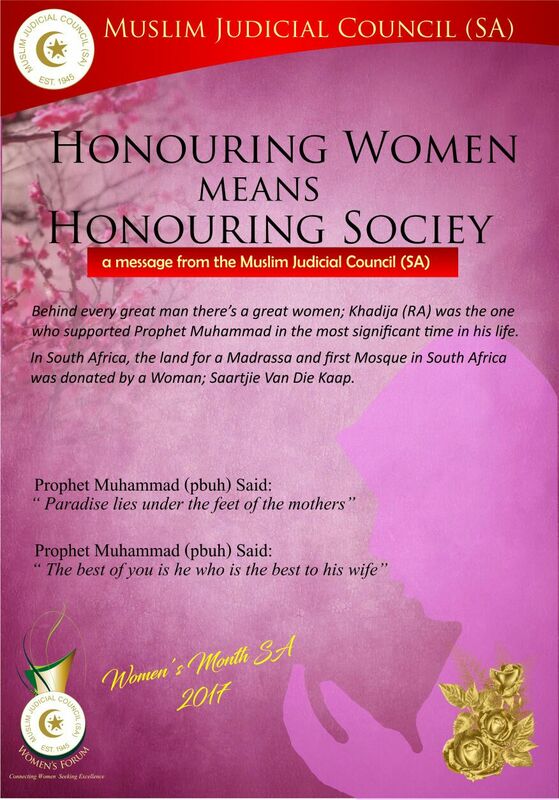 The MJC (SA) Women’s Forum has a Facebook page. Like their page here.